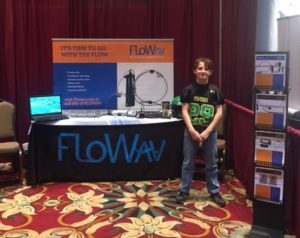 FloWav is proud to have exhibited at the LA WEA Annual Conference this month held in Baton Rouge. We were fortunate enough to have a special guest, Gabe Abercrombie in the booth with us. Gabe is a standout 9 & under football player and he handed out autographed football cards for conference attendees. 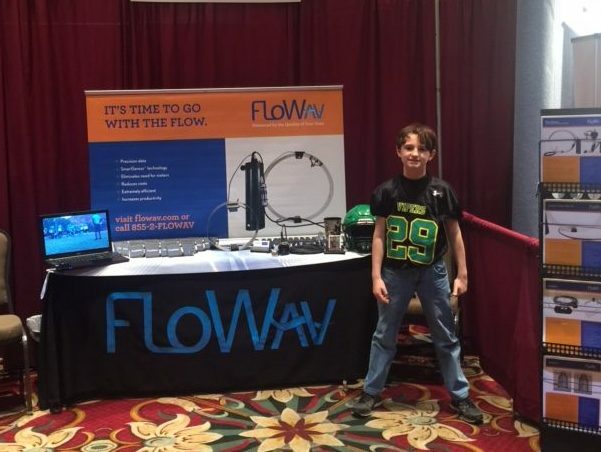 Gabe’s presence along with FloWav’s quality flow monitoring and inspection equipment made the show a huge success. We would like to thank the many people who stopped by the booth. A special thanks to Marcia Noland of The Sewerage and Water Board of New Orleans and the Water for the People Campaign for her support and kind words for Gabe. Thanks to Christina Duggar of Jefferson Parish for her support of Gabe’s Compassion International charitable efforts. It is people like the ones we met at the LA WEA annual conference that make a difference in everyone’s live, from quality water to quality characters. Thank you all for a great week! We would like to share some words from Marcia Noland to Gabe. This short letter shows her and the associations commitment to their campaign and their desire to improve the lives of those around them. To see more about this worthy campaign please click below.